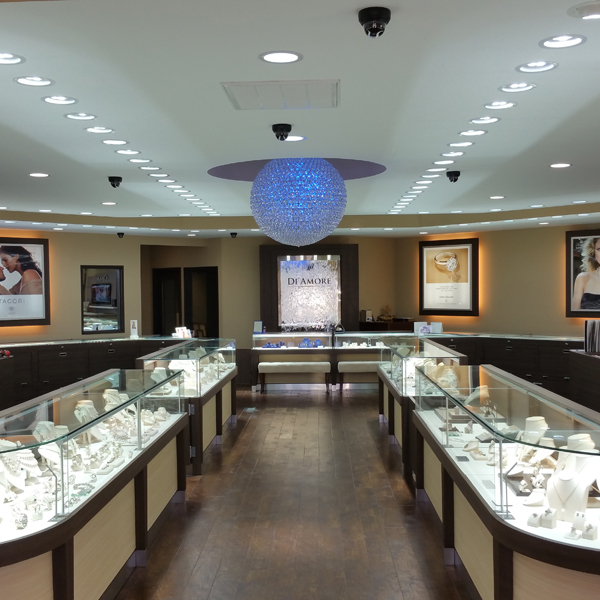 We have served generations of families as their trusted jeweler for brilliant diamonds, beautiful fine jewelry, elegant watches, treasured gifts, custom made styles and expert jewelry repairs. This place was amazing! Everything from the service to the selection was the best I've experienced throughout my entire search for the perfect engagement ring(trust me, I've looked everywhere from Dallas to Austin). Forget about all the big name diamond stores and come here to get the best quality, price, and service. These guys know their diamonds and will always treat you like family. Please don't over pay for a mediocre quality diamond, which is usually what you'll get a big name diamond retailers. This place will leave your loved one memorized forever. Di'Amore is amazing. The staff especially Ben were super helpful and very patient. I never felt like they were trying to sell me anything. I'm very indecisive and never felt like I was being pressured in to buying anything. The store is huge and I felt pricing was VERY fair. Overall a great experience and I will be returning for future jewelry needs. Di'amore did an amazing job working with my fiancé on getting me the perfect ring that fits my personality, mind my fiancé lives in Atlanta and he was working with the CEO (Monali) in Waco. My fiancé and I never talked about rings nor did I give him hints on what kind of ring I was interested in. From what I hear from him, Monali was great by communicating with him every step of the way and was extremely helpful with the entire process. I highly recommend Di'Amore to my friends and family.